As a wife and mother, you have a lot going on from minute to minute as you’re serving your family. Rarely is there a moment of silence. And when there is, it’s a sure sign that there is a major problem somewhere. With everything that you have to do, it’s only expected that you are going to be stressed, tired, and doing the bare minimum just to get stuff checked off the list. Right? See, I think there is a better way. I think there is a way to do this “wife & mom” thing with a joyful heart and without losing our minds. She’s out there searching for the best stuff, going far and wide to do what she needs to do for her family, and she’s doing it with willing (i.e. joyful) hands. Let’s dig a little deeper and use her example as we learn what this means for us. In Proverbs 31:13-14, the excellent wife is seeking wool and flax. These are two materials that were used to create fabrics. The wool was used to create heavier fabrics that were necessary in the cold, winter months, while the flax was used to create lighter fabrics needed for the hot, summer months. Notice that she understands the need for each and prepares for both. She could realistically just shortcut her way through the deal, find a one-size-fits-all approach, and be done with the whole process. But she doesn’t because she wants to do the best she can do for her family. Even if it takes a little extra effort. Even if she has to go a bit out of her way to make it happen. She knows she can provide a much more suitable option, and so she does. In today’s society, we don’t have much lack of clothing options ready for our choosing. In fact, we have an abundance of options. So how does this principle apply to us as wives today? 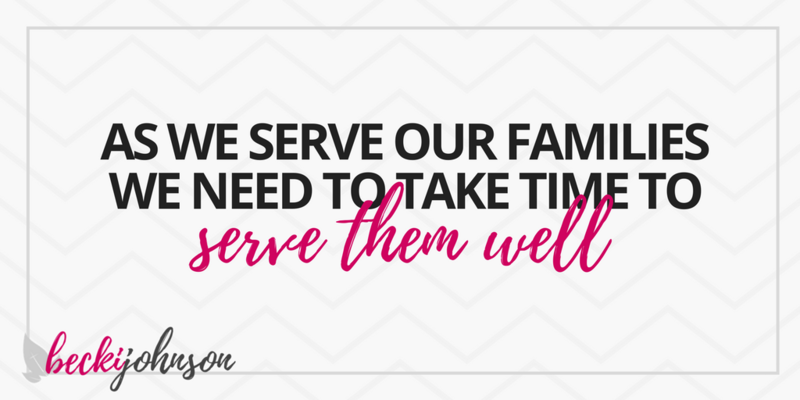 The point is this: As we are serving our families, we need to take time to serve them well… with the best of our abilities. I have seen so many women who are diligent about doing everything they can to serve everyone else, while they barely have anything leftover to give to their families. So these women take shortcuts and “make due” for their families while providing the top-shelf quality to everyone else. Our families deserve the best of our us — not the exhausted, barely hanging on, frazzled version of ourselves that they often get. 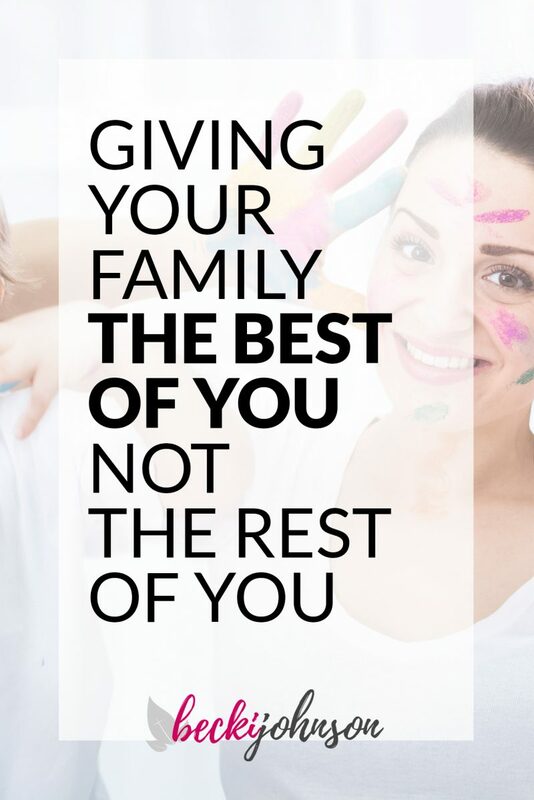 Our families are our first priority. Our first ministry. Our first and most important energy investment. The excellent wife is willing and pleased to do what she needs to do. 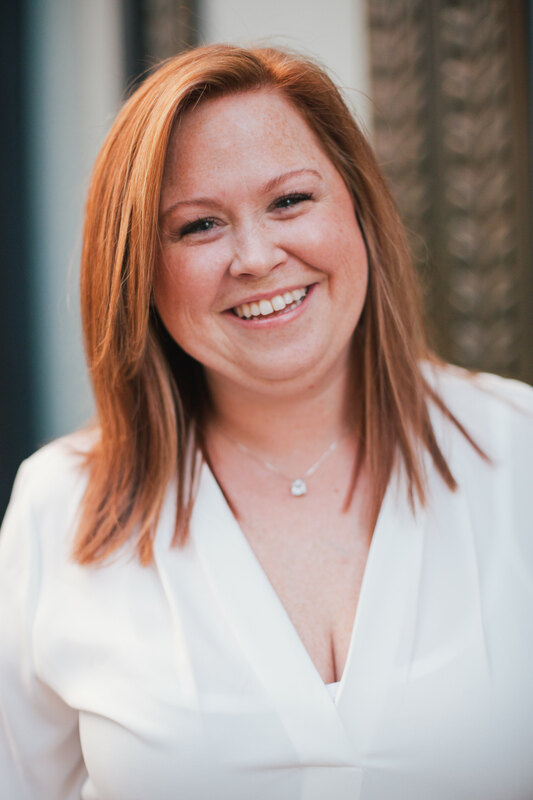 The excellent wife is pleased to do the good work that she does for her husband, her children, and her community. She enjoys serving in the capacity that she has been given. She knows that the hands and heart of a willing wife build up a strong, healthy family. Today’s society has truly undervalued the work of a wife… regardless of whether or not she works outside of the home. It seems homemaking is classified as somehow less rewarding than any other task. It’s inferior to a career. It’s something that some women have to do while they have little kids but can’t wait to get back out of the house again. But an excellent wife enjoys whatever time she is able to spend building up a happy, healthy home whether she spends 24 hours a day there or is able to build up her home between shifts at work. I’ve met with so many women over the years who are desperate to know whether or not they should work outside of the home. When they are taking care of the home, they are worried that they could be doing more to provide for the financial situation of their household. While they are at work, they worry that they are missing out on their families as they grow up. Let’s not even talk about all the confusion that happens from the outside. Person A says that a woman at home is wasting her time and talents. While Person B says a woman who goes to work outside of the home is abandoning her family. Everyone has an opinion. If so, I want to encourage you right now in knowing there is no universally right answer… the only answer you should seek is the one God is leading you to for the sake of your family. If God is calling you to work, then do so with pleasure while you continue to serve your family with pleasure. This doesn’t have to be an either-or situation. 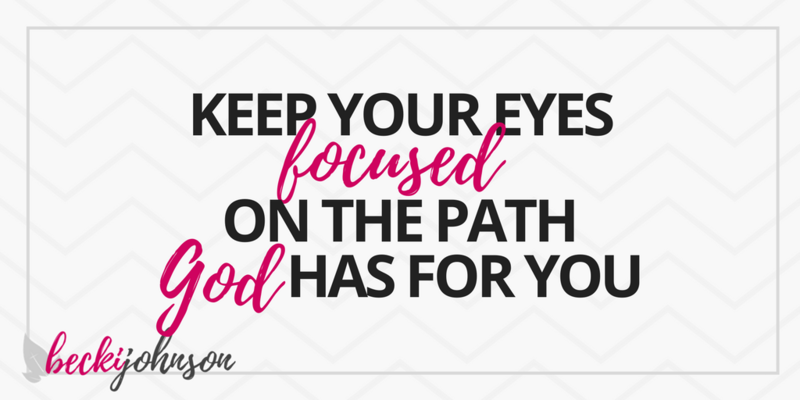 Just keep your eyes focused on the path that God has laid out for you and stop worrying about all the fuss about what you should or shouldn’t do in this area. Regardless of whether she is called to work in the home or outside of the home, a woman who is striving to be an excellent wife is going to have a heart transformation along the way. The more she improves herself, the greater satisfaction she receives in whatever work she is doing. 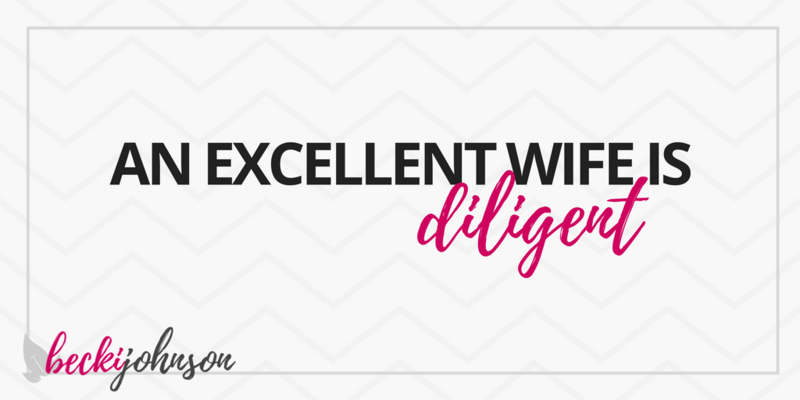 The excellent wife works with diligence – a steady and careful effort to get done what she needs to do. As a wife, you know first-hand the constant demands that life throws our way. If you’re like most of the rest of us, you also know that feeling where you want to go hide in your closet with a bag of peanut-butter cups and a week-long Netflix marathon. But an excellent wife knows that hiding from her responsibilities won’t make them go away. In fact, all that running from our responsibilities tends to make them pile up into Mt. Saint Helens… just waiting to erupt all over the rest of life. And that’s just not helpful. Instead, an excellent wife works with diligence: a steady and carefully paced effort to get done everything that she needs to get done. She isn’t trying to cram everything into her task list all at once, overwhelming and stressing her self out. No, like the ship that travels across the sea, she focuses on one mission at a time. She places her energy and her attention on the top priorities and doesn’t allow herself to get distracted by other things that don’t matter. If you and I were to do this regularly – focusing on what is most important and disregarding the distractions – can you imagine the impact that would make on our daily lives? Our stress levels would decrease significantly because our priorities, the MOST important tasks, would already be taken care of. We’d have far less drama in our lives because we aren’t allowing the irrelevant stuff to sneak in and take over. We would have more time for the enjoyable activities that we have been wanting to do with our families… or [gasp] our friends! And we wouldn’t feel guilty about it! An excellent wife is diligent in how and where she puts her energy so she has more of herself to give to what’s most important. As you go through this journey of becoming an excellent wife, it’s not always going to be an easy path. You’re going to be juggling a lot… but you already are. You’re going to get tired…. but you probably already are. You’re going to get frustrated… but again, you probably already are. However, as you grow, you’ll learn to focus on what’s most important. You’ll become more sure of who you are and what you’re being called to do with your time and energy. And you’ll become less and less of a ball of chaotic stress. Less stress. More focus. Time to breathe. ✽ What gets in the way of your focus on God’s path for your life? ✽ What is the most difficult part of being a diligent wife?